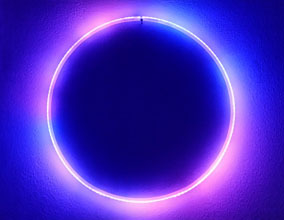 Our original smart hoop, now on its third generation. The Hyperion runs on a single removable battery with a typical battery life of 60 to 90 minutes at normal brightness, or up to four hours at low brightness. Changing batteries takes only seconds, so you never have to stop and wait for your hoop to recharge. Four rechargeable batteries are included. 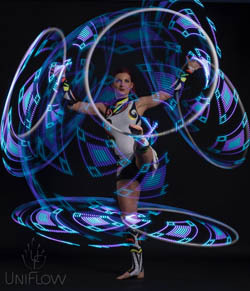 It's also the lightest 3/4" smart hoop on the market. The Phoenix is the latest addition to the Hyperion family, and features internal batteries with a typical life of about three hours at full brightness, and much longer at lower brightness settings. Recharging the hoop takes about two hours. The internal battery design means the hoop is perfectly balanced and there's no gap in the LEDs. 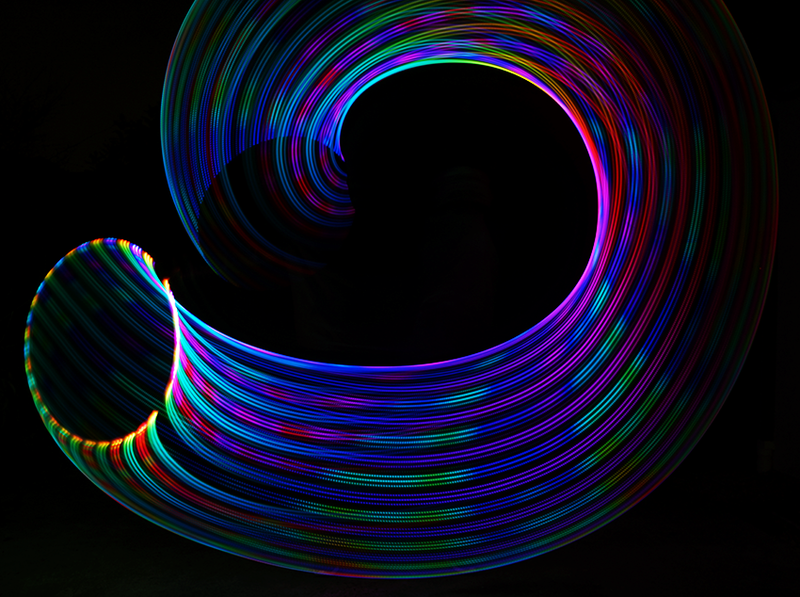 The 5/8" Hyperion Lite is light, fast, gapless, and just as stunning as our 3/4" hoops in slimmer, lighter tubing. Battery life is short at about 15 to 30 minutes, but the battery can be changed in seconds and no other 5/8" hoop on the market can match its capabilities. Not sure which is right for you? 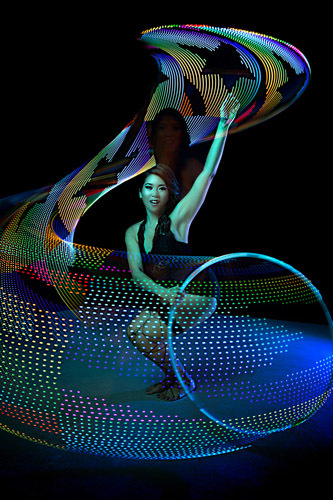 Here's some information on choosing a smart hoop.